Over the last 30 years, we have worked on thousands of well water treatment installations. Unfortunately, by the time many of our customers work with us, they are installing their 2nd or 3rd system after having problems with the treatment system they had before. We realized after some time that there are 5 common mistakes a lot of homeowners make when choosing their treatment system. You can easily avoid these problems with a little help and very little time and effort. Many of us grew up in an urban area with safe treated city water and later relocated to the countryside. We may never have considered the origin or quality of water. Water was taken for granted to be abundant and safe. Many of our customers, after purchasing a home in the country on a private well have encountered unpalatable or dangerous water for the very first time. The well water might rusty, full of sediment, possess a bad odor, or perhaps include harmful bacteria that induce sickness. Fortunately, there are many different water treatment systems in the marketplace to fix these issues. Unfortunately quite a few water treatment vendors, retail outlets or big box stores often times have only a few systems that are supposed to match all situations, yielding poor results and frequent repairs and maintenance. One size fits all, and “set it and forget it” is all too common in sales claims. Almost all water treatment systems have certain ranges or conditions in which they perform within. One example is well waters that are naturally acidic, and at the same time have iron present. A lot of iron filtration systems cannot take away iron if the water is acid, and so to begin with the water has to be treated to counteract the acidity in the water. Knowing which parameters to analyze is important. When the well is located near gasoline stations, industrial sites, or in close to an agricultural area where a lot of chemical substances are being used the water should be analyzed annually for a variety of chemical contaminants to make sure the water remains safe and secure. In the event that there are septic tanks or perhaps livestock in the region such as cattle or horses, a bacteria test is recommended. For many aesthetic water quality problems which may include bad tastes, odors, or perhaps staining, a general mineral testing is usually recommended. This may include iron, manganese, total dissolved solids, pH, calcium hardness, alkalinity, and turbidity. Extra analysis can include arsenic, nitrate, sulfate, chloride, sodium, and metals such as lead. A good water analysis prior to choosing a system is vital. 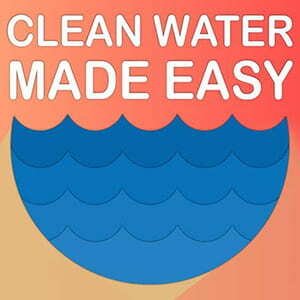 Most wells pump water from the earth automatically by using a submersible pump. If the well is shallow they may use a jet pump which is located on top of the ground level and draws water from the well to create water pressure for the household. Some well water systems have a large holding tank to hold the actual water before it is pumped again to the household. Many other well water systems are gravity fed, and employ the law of gravity to produce water pressure for the dwelling. Understanding the basics of the way the well water system performs is essential when selecting a water treatment system given that the style of treatment method that is utilized could certainly adversely affect the water pressure in addition to flow rate within the home. For example, when the well uses a pressure tank, a water treatment system must be set up after the pressure tank, not before to avoid causing damage to the well pump. Water wells and well pumps come in different sizes and pump water at different rates. It’s easy to test the well pump to determine what the actual flow rate from the pump. This will allow the right size water treatment system that can be preferred which will work great with the given flow rate. Nearly all water treatment systems are self-cleaning and need to have a specific minimum flow rate. A common problem is to use a water treatment system that will require 10 gals. per minute, but the existing well pump can only produce 7 gallons a minute. After a number of weeks, the water treatment system fails to backwash properly and becomes fouled. use. 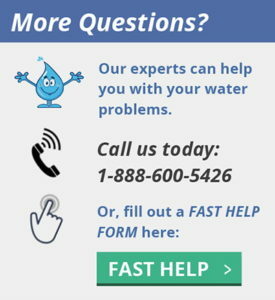 Water pressure has also a crucial role in selecting a water treatment system. Virtually all water treatment systems are going to decrease the water pressure as the water flows through the equipment. It is very important to be aware of what the water pressure from the well pump and pressure system is, prior to selecting a water treatment system in order to end up with decent water pressure inside the bathroom as well as other fixtures and home appliances. A lot of well pump systems are generally fine-tuned to operate at a better pressure if the pressure is not high enough, to begin with. While some water treatment systems get rid of several pollutants, there is not just one treatment system that can work for every application or water contaminant. It is important to know what the ability of the treatment methods that are being considered, what impurities they extract, precisely what number of flow rates they will process, and what water pressures they will operate within.